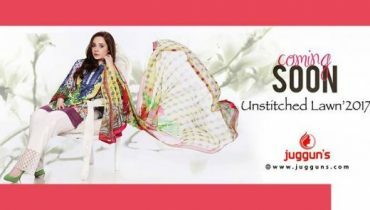 Get ready to be the first to catch the most awaited Zunuj Eid ul Fitr collection 2018! This collection was much in demand among the women and each single woman was waiting around for the launch of this collection! But now it seems like the hours of wait have all ended up! This collection has finally launched inside the marketplaces of Pakistan. Zunuj is one of those fashion brands in Pakistan that does not need any kind of introduction. This brand has been linked with the fashion world of Pakistan for the last so many years and with each single year they have bring about something unique and best in their collection lines. They started their journey by featuring women based clothing collections. Their main product lines are casual wear, ready to wear, pret wear and seasonal based clothing collections. They are even involved in offering with the fashion accessories and home textile accessories for the household items. As you will be looking right inside this stunning Eid collection 2018 you will be catching with some incredible dresses designs that are style up in a complete royal designs and hues. The collection is so impressive looking because the way the designs have been printed on the suits are incredible looking. Three piece suits are included right inside the collection line in which they have showcased long shirts with shalwars and dupattas. As usual they have added their suits with the traditional and elegant flavors by using their old and modern new trends. 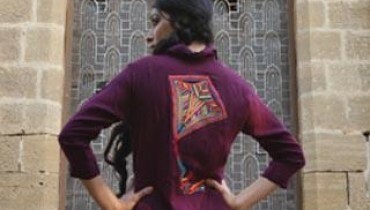 On the top of the dresses and around the borders beautiful embroidery work has been featured up. It is often accompanied with the thread work that has given the whole collection with exceptional images. 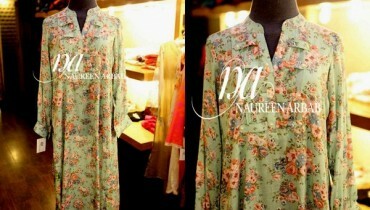 Finest and 100% premium fabric has been used for the stitching that includes chiffon and lawn. For the readers here come some of the fine-looking images from the Zunuj Eid ul fitr collection 2018. All the dresses designs are so lovely that you will be dreaming about catching all of them. They are little bit costly in rates but as you will view the dresses you will forget about the price rates.